When your business is about meeting your customers’ needs, you’d like to think that you’re doing a good job. Your bottom line is usually a good reflection of the truth—if your business is growing and things are looking up, you’re probably right to think that you’re meeting your customers’ needs. However, if the last 10 years have shown us anything, it’s that customers’ expectations are rising like never before. What works today has no guarantee of working tomorrow. Here are 10 signs that you’re probably not meeting customers’ needs, even if you think that you are. You already know to base your strategy around customer feedback, but that assumes that customers know everything about what they want or need. While a constant back-and-forth is crucial to refining your product or service successfully, it’s important to understand that it’s only one piece of the puzzle. Customers don’t necessarily know what’s possible, and they often have trouble imagining how something new will fit into their life. If you talked to most people when Twitter came out, they would probably have said that they didn’t need another place to post Facebook status updates. What they couldn’t see at the time was an exciting publishing platform for users to share ideas with anyone and everyone like never before. While customer feedback is certainly critical, you can’t rely on it as your only motivator for innovating. You can’t be all things to all people. You’ll get more mileage out of celebrating your unique niche. Your brand identity isn’t just what you offer, but the style in which you deliver your product or service as well. At the same time, there’s a difference between meeting a need in a different way and ignoring it entirely. Beware of writing off what another business in your industry is doing by telling yourself that they serve a different audience. When looking at what a competitor is doing in your space, make sure you take the time to identify the very real customer needs behind what they’re doing. Say they use a messenger app for customer service because they target millennials. You might not serve millennials, but your audience likely still wants a real-time communication channel. You need to address the need, even if it’s in your own unique way. The customer journey encompasses a variety of touchpoints across many channels. As you’re thinking about how you can better meet your customers’ needs, be certain you understand every single interaction you have with your customer from their point of view. Map your customer journey. One of the best ways to get started with this is to pretend to be a customer. Identify your most common customer service requests, and go through the process yourself. What is the experience like, and does it consistently communicate what you want it to about your business? It’s easy to ignore things like automatically-generated customer service tickets, but be honest and ask yourself if you’re making the most customer-friendly decisions possible at every step of the journey. Have you ever visited a restaurant and asked the waiter for a recommendation, only to realize that they haven’t tried half of what’s on the menu? When it comes to creating a top-notch customer experience, we can talk all we want about how we want a customer to feel, but that’s no substitute for experiencing it yourself. Personal touches like remembering someone’s name or order are a lot easier to appreciate when you’re on the receiving end. If you know what you want from your customer experience, then you need to find a way to communicate that to your employees, so they can understand why they can make the difference. Often, this won’t require a lot of extra work—rather, it’s about changing your mindset. Remember that the person best equipped to make a difference to a customer at any moment in the customer journey is an employee. If they know what choices to make to best represent what your brand stands for, then they can turn a potentially bad experience into something remarkable. Employee engagement and customer experience are linked. After all, your team members are the ones delivering that experience to your customers. Make sure that you’re taking the time to make sure your employees are motivated and on board with what you are trying to accomplish. Sometimes consistent company policy gets in the way of giving your customers the benefit of the doubt. Jeanne Bliss, a customer experience expert and co-founder of the Customer Experience Professionals Association, offers a simple litmus test in her book, Would You Do That to Your Mother? If your mother had a product that broke two days after the warranty expired, you’d probably want someone to give her the benefit of the doubt. The key here is to empower your employees to make common-sense decisions that reflect well on your brand. Ultimately, the resources lost in making a customer-friendly decision come back to you in the form of enthusiastic advocates for your business who tell others about their incredible experience. Customer needs aren’t static, and your company needs to evolve not only to meet expectations but exceed them. Look beyond the basics, make sure every moment in the customer journey lives up to what your brand stands for, and empower your employees to make that happen. Look beyond customer feedback to anticipate what they don’t know they need. Identify the “why” behind what your competitors are doing. Map your customer journey, and identify every touchpoint. 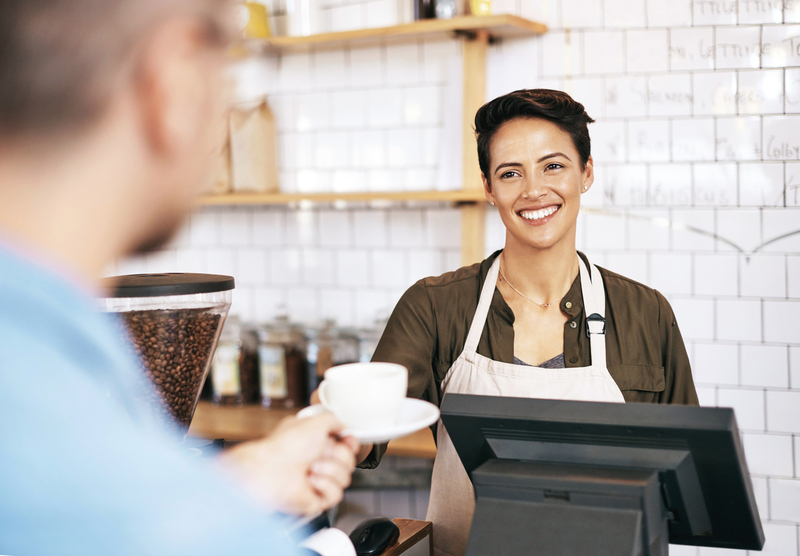 Make sure your employees know what a great customer experience feels like. Find ways to improve employee engagement. Empower your employees to make a difference with customers.